Even though the squat is considered ‘the king of all exercises’, you could easily argue that the deadlift could share top billing. After all, few exercises combine the full body strength required to pick a heavy object up off the floor. Not to mention, most guys like to deadlift because it makes a statement. When you lock out a big weight – especially if it is heavier than what your buddy did – it gives you bragging rights and a sense of pride. That is why most deadlift days typically turn into a competition. 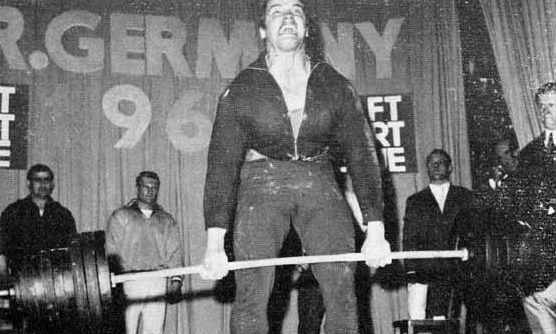 Many lifters actually prefer deadlifts to squats because they can get away with a lot more bad technique flaws and still lift a lot of weight. Even if the bar gets away from them or their back rounds, they still can typically manage to finish the lift. What you might not realize is you’re setting the foundation for an inevitable future injury that will significantly stall your progress. That doesn’t mean you should stop deadlifting. Just the opposite; it means you should focus even more time of perfecting your technique. That extra time spent will help you pull more weight, become ridiculously strong, and build a bulletproof body that won’t get injured easily. As in my previous articles – Bench Press 101 and Squat 101 – I am going to dive into the essentials for how to deadlift correctly. If you can master and continuously drill these fundamentals, every deadlift competition will be yours to conquer. While the deadlift and squat target the same muscle groups, they are quite different on how the muscles are engaged – at least on the first repetition. Because the squat starts in a more advantageous standing position and the first movement is lowering the weight (eccentric) – the joint angles decrease and your muscles accumulate (elastic) energy as they stretch. This means your first repetition develops reactive strength. That is the ‘rebound’ out of the hole you typically experience as you lower into the squat and reverse the movement at the bottom. This is similar to a rubber band stretching and snapping back into place. Your muscles build this same type of elastic energy and release it as you drive back to lockout. Deadlifts force you to overcome the load on the bar from dead stop. This type of strength where you go from zero potential to activating as many muscle as possible develops your starting strength. This is why it is so critical for you to create as much tension as possible before you even pull the weight. The more muscles you can contact in your setup, the more tension you can create. This will make you stronger and keep you from getting ‘out of position’ during the lift. This difference between the squat and the deadlift actually diminishes if you’re performing multiple repetitions. The second rep of a deadlift changes everything. After you lockout the first repetition, the subsequent return to the floor actually loads the posterior chain muscles (the muscle on the backside of your body, think glutes and hamstrings) dynamically – similar to a squat – and the second repetition becomes much more reactive. This is very easy to see if you’re watching someone deadlift. The first rep is typically much slower than every rep after it in the set. In terms of performing reps, you have two styles: Touch-and-go and static start. Touch-and-go reps are done one right after another and the elastic energy stored from the lowering of a previous rep, helps to transition to the next. A touch-and-go set is continuous and doesn’t stop until all repetitions are completed. You don’t bounce the weight off of the floor; you load into the descent under control under the weight touches and then you reverse the movement. If your weak point is right off the floor, it is recommended that you perform a ‘dead stop’ or static start repetitions. A static start set is where each repetition is treated as a different set and you reset before each one. Instead of performing a set of eight repetitions, you will want to change your mindset and think of pulling eight sets of just 1 rep. In the video below, you will see the difference between a static start set and a touch-and-go set. Notice how each repetition for the static start is its own set and how the touch-and-go set loads and transitions between reps.
To get better at deadlifting, we must break the movement into its essential components. Once you master these fundamentals, you will be able to link each piece together into the full exercise. The setup for the deadlift starts with two things: your grip and your shoes. Most lifters deadlift with an alternated grip, which means one palm is facing forward and one palm is facing back. While you can pull more weight with this setup, I typically recommend keeping a double overhand grip – where both palms are facing back – until your grip on the bar fails. This is because you want to always look for opportunities to develop more grip strength. Having a powerful grip carries over into every lift. The harder you can squeeze the bar and the more you can control the weight, the heavier you can train. This will lead to faster gains in building muscle and getting stronger. Also, an alternated grip isn’t a great option for many lifters. When pulling with one palm facing forward – as with an alternated grip – a great amount of stress is put on the head of the biceps. This stress is heightened because most lifters walk around with poor posture. This pushes the shoulder forward out of position, and subsequently exposes the bicep to a compromising position, especially if the lifter doesn’t have a ‘clean’ lockout or jerks the weight off of the floor when they deadlift. Watch as the lifter progresses from a double overhand grip, to a hook grip where they wrap their fingers over their thumb, to, finally, to an alternated grip. If you take the advice to stay away from the alternated grip setup, the hook grip or straps are your best options after the double overhand grip fails. After you have the proper grip on the bar, we begin the process of creating the full body tension needed to pull heavier weights safely. Do not underestimate the importance of a good grip. Grabbing the bar tightly, as if you’re trying to melt the steel, will not only tighten up your fist, but also your forearms, shoulders, chest, upper back and lats. The concept of coordinating tension and muscular contraction across several muscle groups in an effort to create stability and display strength is called irradiation. This is the key to a big deadlift. The more you can tighten and contract every muscle group, the stronger and safer we will become. Look at Your Feet. What are you wearing? The proper footwear is just as important as your grip. Flat soled wrestling shoes or bare feet are two great choices for deadlifting. Unlike running or training shoes that have a thick, collapsible sole, minimal footwear choices put you closer to the ground and ‘anchor’ you into the floor. You must have solid contact with the ground – anchor yourself into the ground – because driving into the floor with great force requires a stable base. Also, the higher the soles of your shoes are, the greater range of motion you will ultimately have to pull the bar. So, you want to be as stable and as close to the ground as possible. To find your deadlift stance, you’ll want to try different foot width positions. The setup that feels comfortable for you is dependent upon your current mobility restrictions (ankles, hips, upper back) and your individual limb lengths – referred to as anthropometry. If you are very inflexible, you need to make opening up your movement potential a priority. Performing various dynamic mobility drills as ‘fillers’ in between your deadlift sets can be a very good way to help you get into better positions as your sets progress. After you get your feet set, the first move you want make to get down to the bar is a hip hinge. This is the motion where you push your hips back. You will use the hip hinge to drop your level and guide your hands to the bar. Much like for the squat, performing a hip hinge will load and engage your posterior chain – the lats, spinal erectors, glutes, hamstrings, and calves. But, it is not enough to just perform a hip hinge, you must do it while keeping your back straight and bracing your torso, in preparation for the lift. Unfortunately, a hip hinge is directly opposite to what most lifters do when setting up on the bar. They usually drop straight down. This will shift their center of mass forward onto their quads and typically move their shoulders in front of the bar. Because of this shift, you will be out of position before the lifts starts. It might not be a big deal to start in a bad position for lighter weights, but when you get heavy, you won’t be able to recover and get the weight back to lock it out. Performing kettlebell deadlifts and Romanian deadlifts (RDL’s) are two excellent ways to drill the hip hinge with neutral posture, learn how to engage your lats, teach you how to finish the lockout, and overload the movement. Just like deadlifts, both of these movements can be progressed through a top-down training progression. Practicing the hip hinge to the bar is an easy way to learn how to get into a better starting position. Grabbing the bar and squeezing it as hard as you can ensures a tight grip and creates tension in your upper body. This tightness is further facilitated by ‘taking the slack out of the bar’ and engaging the lats. Now that you understand the hip hinge, after you take a deep breathe into your belly, you will use the bar to actually pull yourself down into the hip hinge pattern. The simple act of pulling up on the bar engages the lats and accumulates and transfers the tension from your grip into your chest and upper back. I commonly tell my athletes if there is 315 lbs on the bar, you should be taking 314 lbs of slack out of the bar before you attempt the lift. The more tension you can create, the more stable you will be and the more strength and power you can display. A tighter upper body will help create more core stability and actively engaging the lats will help pull the bar into your body. Not using your lats will properly will allow the bar to get away from you during the pull phase of the deadlift. This small technique flaw can trigger big problems like allowing your back to round your back or cause you to miss the lockout. In this video, watch the lifter’s shirt and how easily you can see his lats turn on as he uses the bar to pull him into the start position. The First Pull – Let’s Go! One of the biggest misconceptions about deadlifting is that you should pull the weight as hard and as fast as you can. Let me tell you why this is a big mistake. Grip It and Rip It? Not So Fast! Once you get into a good position, you just want to grip it and rip it, right? This is the completely opposite of what you should do. Never rip the bar off the ground because you’ll lose your good starting position and the tension that you created in your setup. Losing position for most lifters means the hips shoot up and your lower back rounds. Rather than pull the weight, trying thinking of the first pull as more of a ‘squeeze’ off the floor with a leg press type movement. Once your torso is locked into a straight (neutral) position and your entire body is tight, do NOT think about pulling the weight up – simply drive away from the floor. This is a much easier cue for you to remember than ‘pull the weight.’ It focuses on the movement at the hips first instead trying to pull with just with the arms. As the bar starts moving upward off the floor and the hip angle opens up, your torso will naturally straighten. And, because your lats are still engaged, the bar will stay close to your body to optimize your ability to pull more weight. Once the bar passes your knees, your goal is to drive your hips forward and lock your body out in a straight-line position. When you powerfully finish your hip extension you should feel your lats, glutes, hamstrings, spinal erectors, core and quads all fully engaged. If you’re used to not finishing the lockout for your deadlifts (or squats), you might have developed some tightness in your hip flexors – the muscles on the front of your hips responsible for flexing your leg forward. The glutes and hamstrings – part of the posterior chain responsible for extending your legs – also don’t get developed to their full potential. In the following video, you’ll notice the first rep is a ‘soft’ lockout with the hips not fully extended. The second rep demonstrates full hip extension and a powerful lockout. After the bar is locked out, you should repeat the hip hinge to get the bar back to knee level. Many lifters will try to squat the weight straight down after they lock it out. This doesn’t work because it takes the tension off your posterior chain and forces you to go around your knees with the bar. That is why sliding your hips back should be the first movement after the lockout. This will continue the engagement of your glutes, hamstrings and spinal erectors and force your lats to stay tight to keep the bar close to your body. Once past the knees, you will squat the weight back down to the floor under control. You will see more advanced lifters drop the bar after lockout. This helps them to conserve energy for an upcoming heavier effort and not overload their workouts with tons of eccentric volume – leading to greater muscle soreness potentially affecting an upcoming training session. For more novice or regular lifters, I always recommend taking an opportunity to develop more stability and maintain tension by controlling the lowering phase of the lift. I hope you enjoyed this latest article. Stay tuned for my final installment in the Deadlift 101 series called - The Best Deadlift Coaching Cues That Work. Let me know in the comments how your next deadlift session goes!